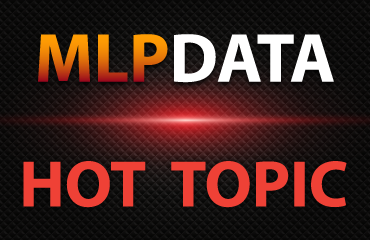 MLP equity units were crushed this week with the benchmark index down -10.88% on the fears of a credit downgrade for Kinder Morgan which may lead to a change in their dividend growth policy. Long term debt yields were modestly changed from the beginning , but yields are trending higher for most issuers since September. Individual benchmark bond data can be found on the Quote and Chart pages.